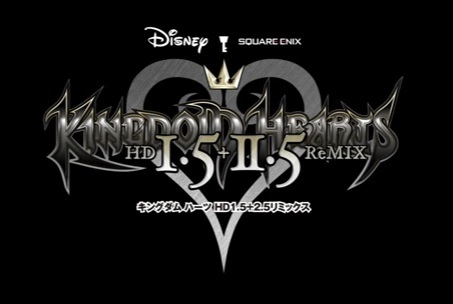 The actual title is "Kingdom Hearts HD 1.5 + 2.5 Remix" not KH HD 4, that's a mod joke that the title was changed to. KH1.5 and 2.5 coming to PS4 in one release in March 2017 in 60fps. So I was right to wait! I could start crying right now. I never had a PS3 so I never got to play 1.5 and 2.5. Now I do, in 60 FPS. Definately will do that before Kingdom Hearts 3 is out! finally, I might be able to play them. Pro version should be good. Awesome! Nearly caved and bought the PS3 versions, but seems like waiting was worth it. I lost an eBay bid for Kingdom Hearts 2.5 yesterday! This was meant to be so I could buy the PS4 version! What was the last KH game on a Microsoft platform? Glad I waited to play KH2.5, I had a feeling there'd be a PS4 version. Awesome news. 60 fps are a great bonus,too. .....YO, I was *SO* close to buying. Glad I waited. Exciting! guess I'm going to have triple dip! Edit: Wait, are they selling the two games as a bundle? If so that would be awesome! Or am I mistaken? I knew there was no way they'd let 2.8 and 3 drop on PS4 without any way to play the rest of the series. No convoluted name that doesn't actually let me know what it is = no buy. I was hoping they would do this. I've never played one so I will try it out! Well, if the saves are transferable why not, otherwise I'll pass. Oh good, looks like I'll pick them up. And people said 60fps KH was impossible, lol. I'm going to church today. Straight up. Alright Sony, I'll get a PS4. That site is effed, do we have any details? Are they being sold separately? I'm feeling so redeemed for waiting on 2.5 now. Awww but now what're we gonna do with these PS3 SEs my brother bought? Good to have the whole series in one place, finally. Barring the gameplay of the DS games I mean, but whatever. Don't have a PS4 and I can't allow myself to replay these bloody games again, but this is good news!